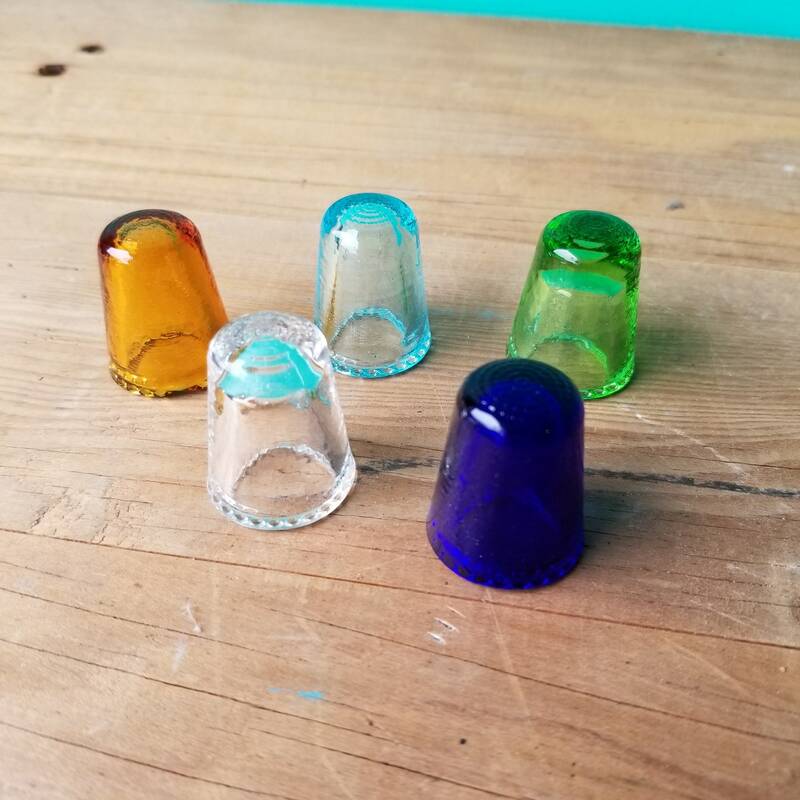 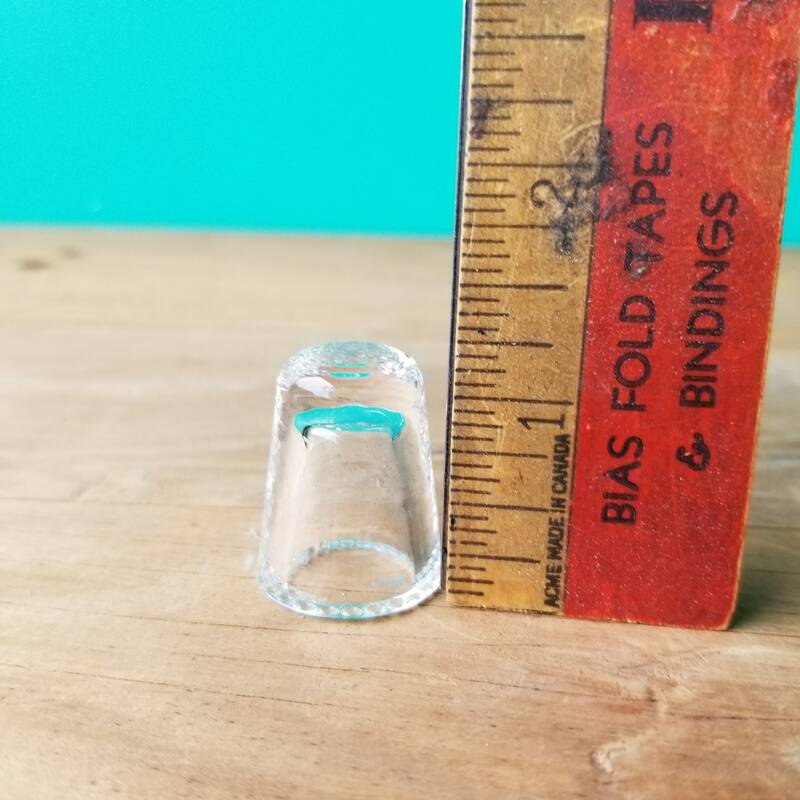 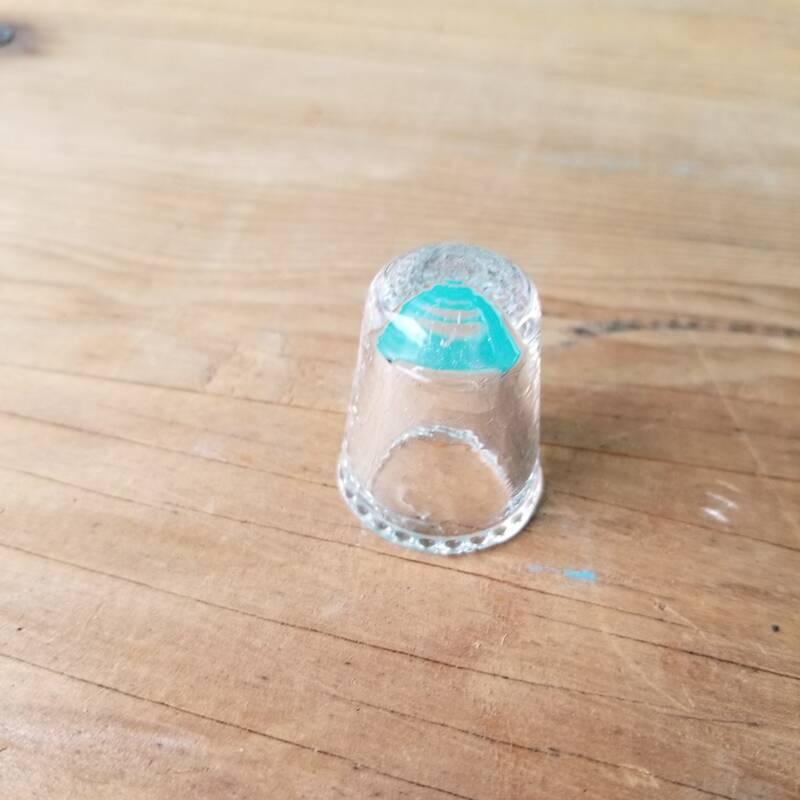 This glass thimble was made in the mid 1950's in West Germany by one of several large glass manufacturers such as Schott or Ullman. 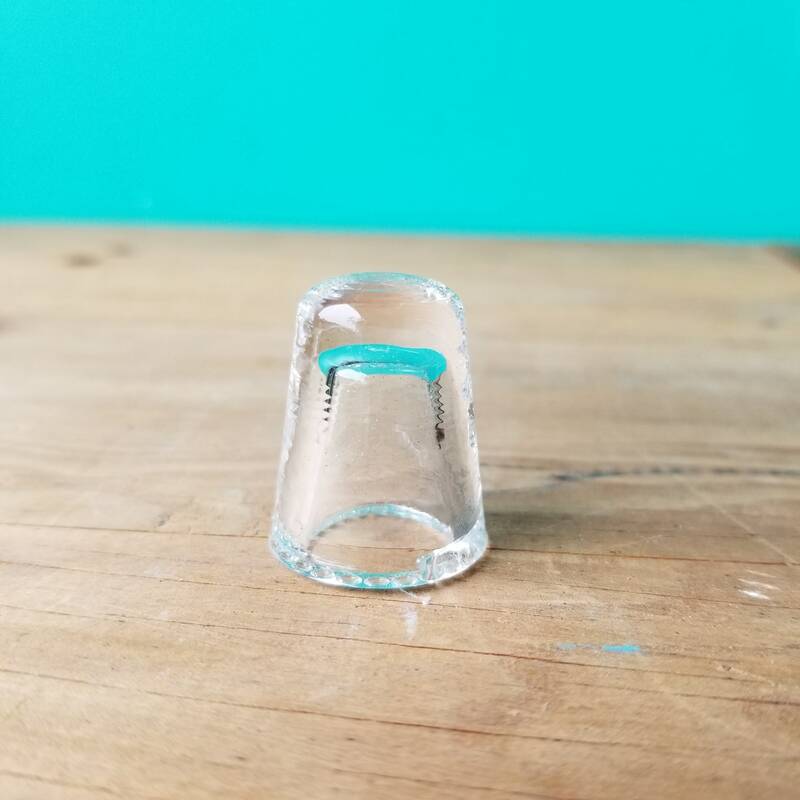 Made of beautiful clear glass with hobnail bumps on the ridge, and divots on top to guide the needle and keep it from slipping. 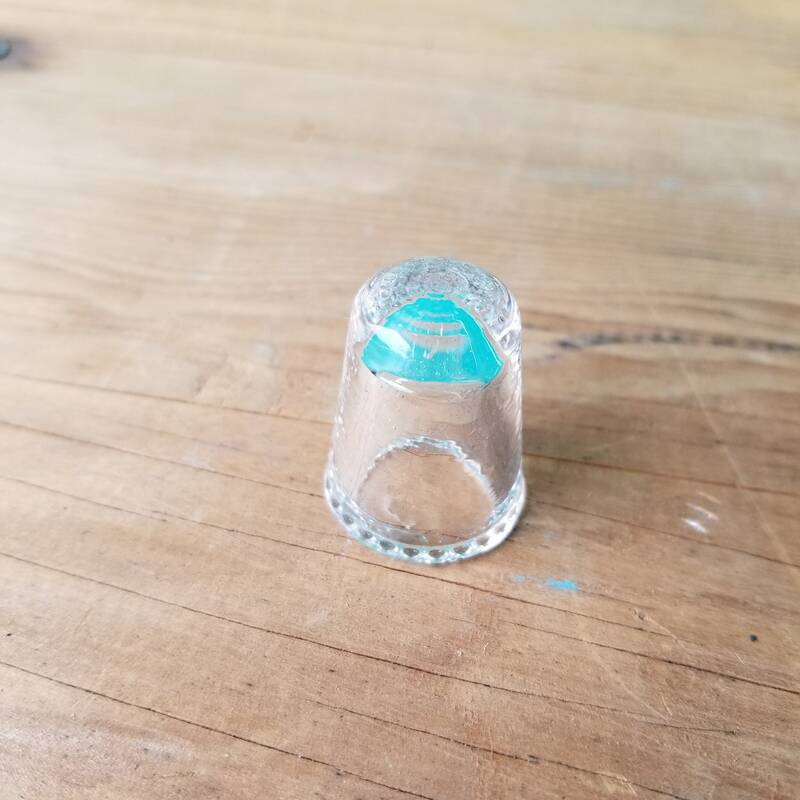 This thimble has a slight crack in the ridge as pictured. 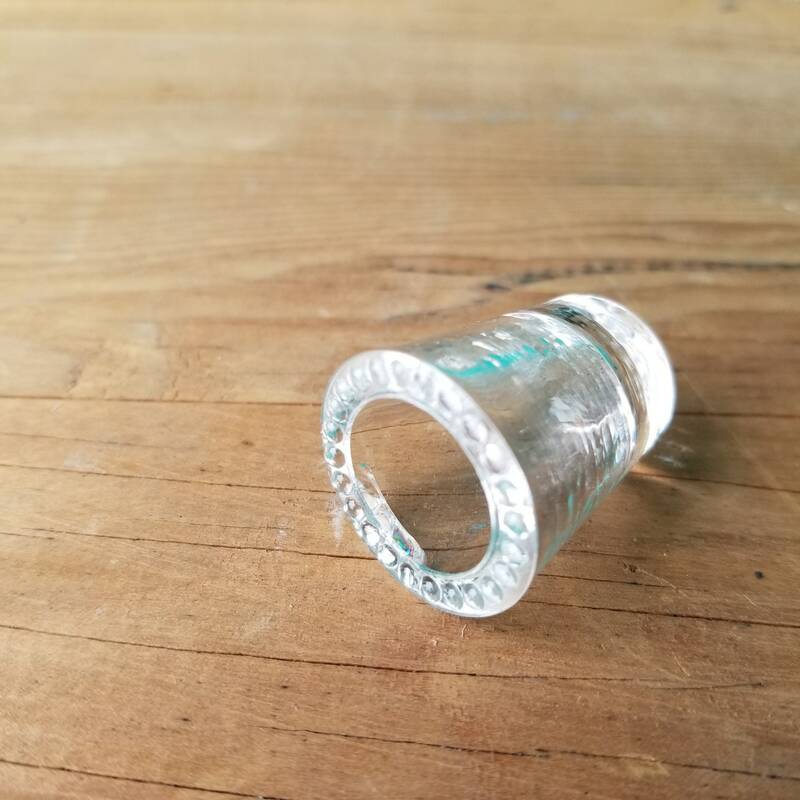 The crack is internal and there is no part that is missing. 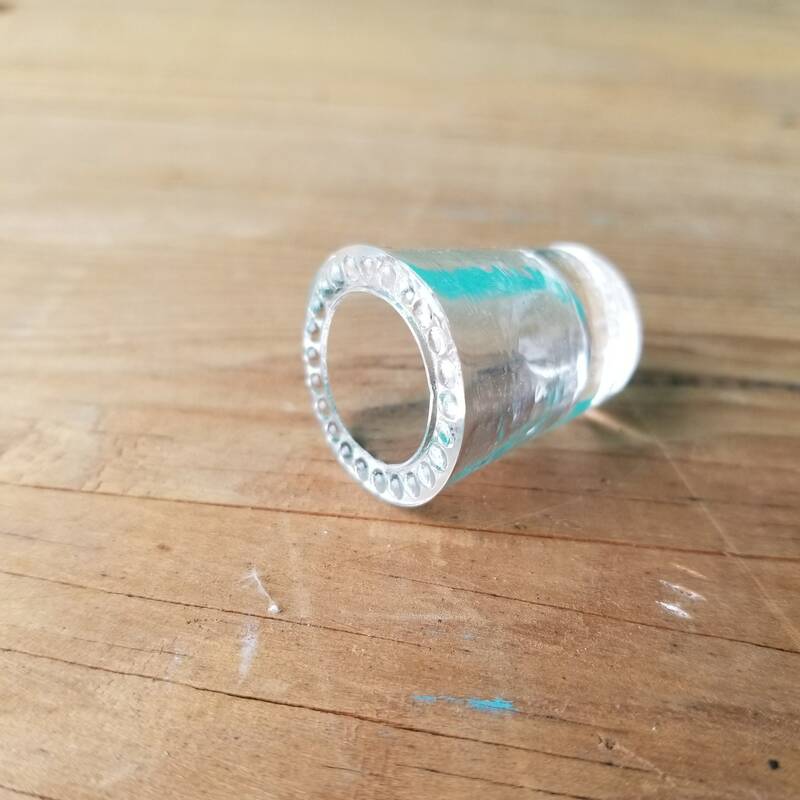 More comfortable to use than metal, and beautifully unique looking!